If you'll remember back to this time last year, Capcom ran an event called "Mega May" in which at least one new Mega Man title was released on the Virtual Console each week. It was primarily focused on launching the remaining Game Boy Mega Man games as well as two from the GBC, though the Wii U didn't receive as much love. Evidently, the event was successful enough that it justified a renewal this year, and this time the Wii U is at the center of attention. Are you pleased with this selection of Mega Man games? Which one will you vote for? Share your thoughts in the comments below. ummmm...... i'll none for me. @EonCow Really? I voted for Battle Network 3, I'm so stoked for that! If I had to pick... I guess I would go with Mega Man and Bass. I don't see Mega Man 64. Now that N64 has been added I want to play that one. Mega Man And Bass if I could vote, just so I could finish up the original series (minus 8). Never played any of them... I can't decide between the first two. Either would be good by me. @efaulk84 Yes! I'd love to play Mega Man 64 again. Mega Man 64 is port of Legends on Playstation right? I never played any of them. Mega Man and Bass has my vote. Voted for Bass. Already have Zero 2 in two different versions and I never liked Battle Network. Voted for Battle Network 3. Don't need Zero 2 because I already have the DS collection, I don't like MM&B, and it doesn't make sense to release BN4 before BN3. Yeah. Mega Man 64 all the way! I still have that cartridge. Also. I wanna play REAL Mega Man (the most), so MM&B on Advance for me. Got the cartridge, but I'll enjoy it on my Gamepad and TV this time around. Would really be nice if PSN got Mega Man Legends 1 & 2 at some point. FORGET Mega Man & Bass - the GBA port is GARBAGE! The SNES orginal isn't all that bad, though. Meh! They are all bad! Mega Man 64 canno't be released, as Capcom no longer has right to the voice acting. Of course, they could rip it out, but it wouldn't be the same anymore then, right? I vote for Megaman Legends 3! Why two Battle Network games? 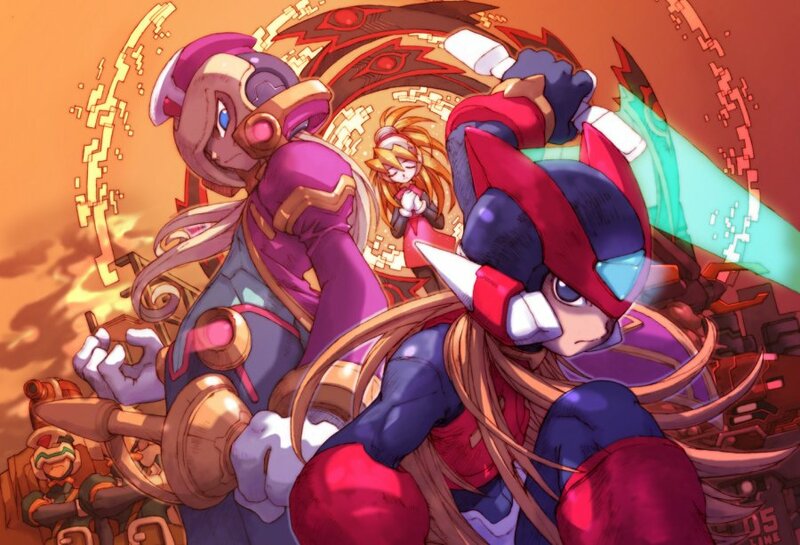 Screw Battle Network, the games should be Mega Man and Bass, Mega Man Zero 2, Mega Man Zero 3, and Mega Man Zero 4. Save Battle Network for next year. We already have two of them and they go a long way. @VR32F1END Thankfully I still have my Legends 1 and 2 discs, so I don't have to wait for Capcom and Sony to get off their lazy butts on this one. What's really dumb is they released Mega Man Legends AVATARS to PSN. Surely that's a tease for the games, right? NO, those avatars have been there for years now, still no games though. Battle Network 4, of course! The entire Battle Network series is awesome and creative, and Red Sun/Blue Moon also have my favourite NaviSouls! How will the two versions of MMBN 3 and 4 be sold? Buy one version and get the other free or will each version be sold at full price? What did they do in Japan? What, no Mega Man 8 for Sega Saturn? The only gap in the catalog, and a big noticeable gap at that? They can't release Saturn games on Wii U. The console is near impossible to emulate. Mega Man 8 did get released on PlayStation 1 though. Any choices for the 3DS eShop? No? I'll go for Mega Man 8, please. Not sure I want any of these though like others have said I would love it if they release Mega Man 64 on the eshop. Loved that game but unfortunately my folks only rented it for me and never bought it when I was a kid. Pretty decent choices! Too bad I don't play many Mega Man games, but I have fond memories of Battle Network. Mega Man & Bass needs more love. It was a good port considering the limitations of the GBA. Are there any more NES, GB or GBC Mega Man games to port to the 3DS Virtual Console? Nintendo doesn't allow GBA and SNES games to be ported to 3DS Virtual Console. I suppose there is the crappy Sega Game Gear version though. I'd like to vote for ports of Mega Man 9&10, but no such option exists. Make a new game you Capcom buttholes! I would vote Legends 3 if it were there. Falling behind what? PS4 has yet to get a single PS Classic and Xbox One doesn't get retro releases either. And the 3DS has a lackluster VC library compared to Wii U, so when you say Wii U is falling behind everyone else in VC, who is everyone else? My vote to Megaman 64. Regardless. None of the above. How about the never released Mega Man Mania for the GBA? Voted for Megaman and Bass. I know the GBA port wasn't great but it's the only way to play this great game without hunting down the original SFC cart or a repo. Hell I have a translated repo and I'd still like to see it on the VC. I NEED to play Mega Man 64... One of the 3 games for the N64 I've always wanted to play (That and I've never played Mega Man Legends, which is MM64). @JaxonH I mean the American VC releases are falling behind in comparison to the European and Japanese VC. Capcom should revive megaman on wii u, and bionic commando also! All four MM:Zero games was ported to one flash card on the NDS. I really do not see why they did not include the ZX games as well. MM:Zero two was probably the least favorite of the four games ( it is also Overstocked as well ). Also nobody really brought them and Capcom ruined it by creating the ZX series ( which is the same game in an nutshell. ).